Love sushi? 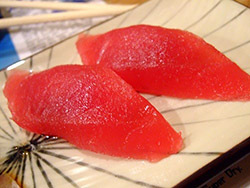 Then you’ve most likely enjoyed tuna (maguro) as part of your meal. 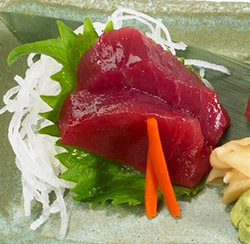 Sushi chefs are masters but how does one determine what is considered “sashimi grade” – raw and safe to eat– versus what isn’t? Grading tuna is an art. 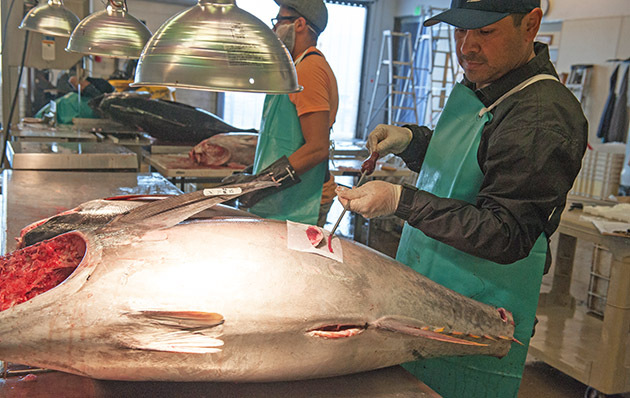 The process is pretty much the same for yellowfin and bigeye – both are ranked almost exclusively on color – while the mighty bluefin is more often graded for its fat content. 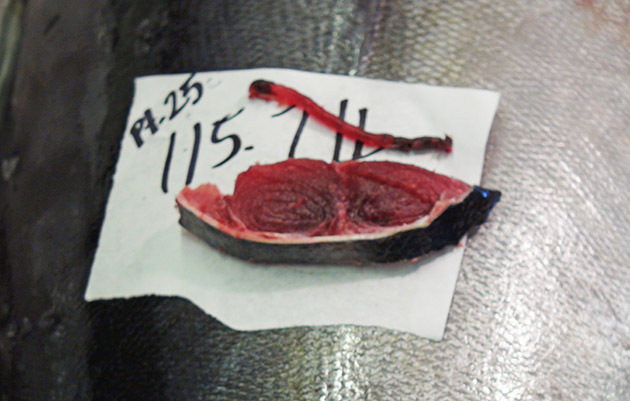 Bigeye may also be graded for fat content but typically fish 100-pounds and up. 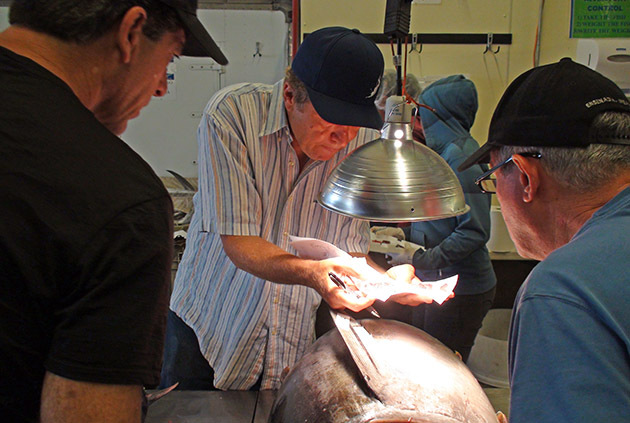 Examining a notch out of the tail and a core sample from behind the gills, tuna experts grade each fish using the traditional Japanese Scale. 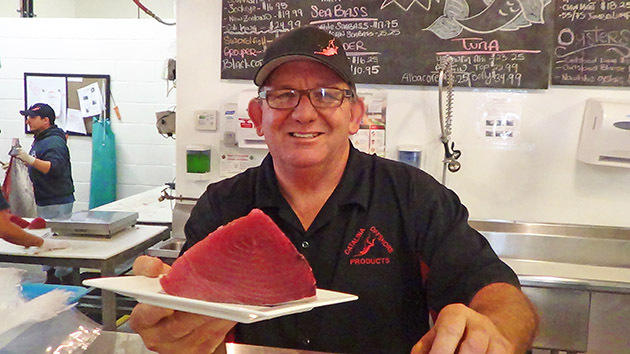 There are numerous micro standards, but generally speaking #1 tuna is premium or sashimi grade with a deep red color that some might describe as cherry red. +2 is similar to #1 in color but lacks the same clarity. 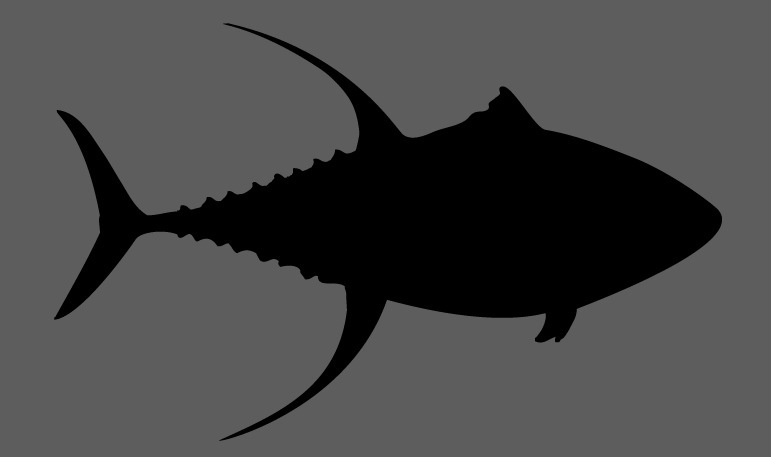 A #2 tuna can be somewhat pale in color. 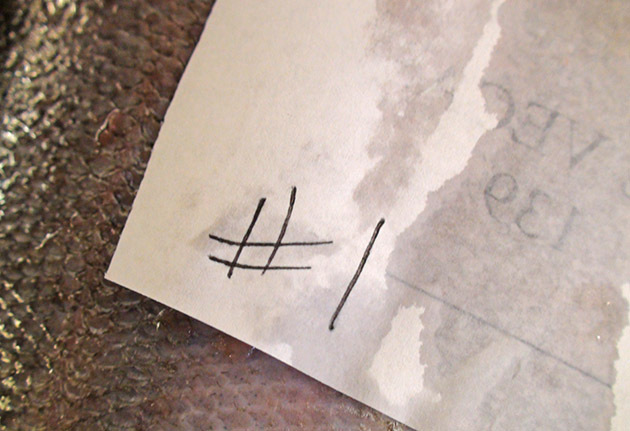 #3 is more brown than red and is typically referred to as grill grade. 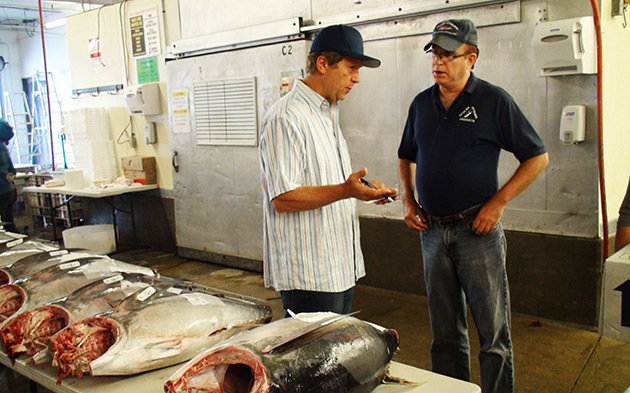 As you become familiar with any seafood company’s product, you will either find that they are consistent in their grading, like COP, or they’re not. Consistency is part of what will motivate you to buy again so it’s in the seafood supplier’s best interest to provide the quality you expect! It’s always a thrilling few hours when fresh tuna is offloaded at COP. Our processors clean, weigh, tag and take samples from each fish. 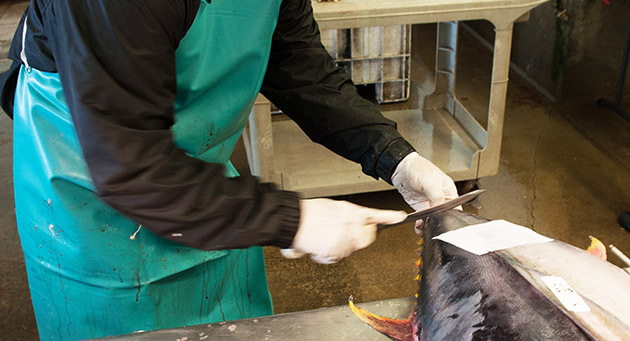 Our tuna experts then grade the fish by methodically examining each sample. This is done by sight, touch and sometimes taste. Meanwhile, the sales team busily makes calls to secure buyers, as our packing team stands ready to ship the prized inventory to our customers around the world. 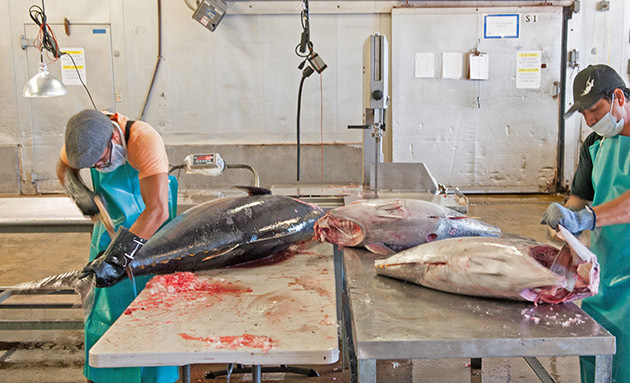 Processors clean each tuna, which includes heading, gutting, and cutting the tails. Each fish is tagged with a number and its weight. Catalina Offshore Products CEO Dave Rudie and Senior Wholesale Rep David Richter discuss potential buyers. Floor Manager Oswaldo Barragan takes a notch from the tail of the tuna. 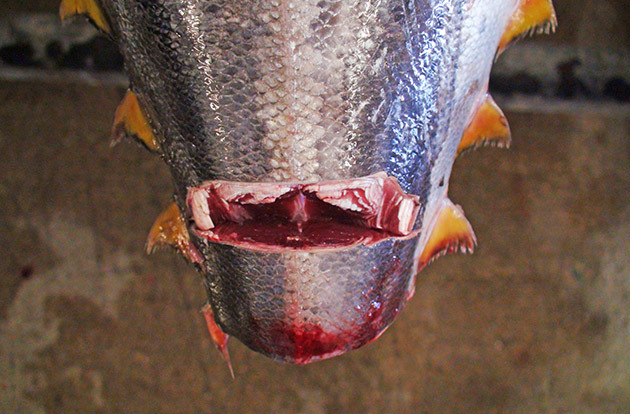 Along with a notch from the tail comes a core sample from behind the gill. 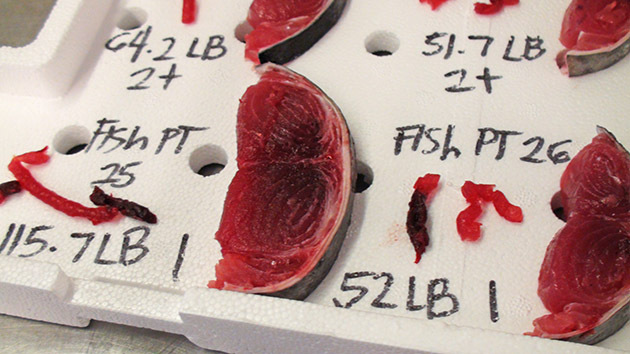 Bright spotlights allow our tuna experts to easily evaluate the color, clarity and fat content of each fish. Liking what he sees, Senior Buyer Dan Nattrass begins making phone calls to his customers. 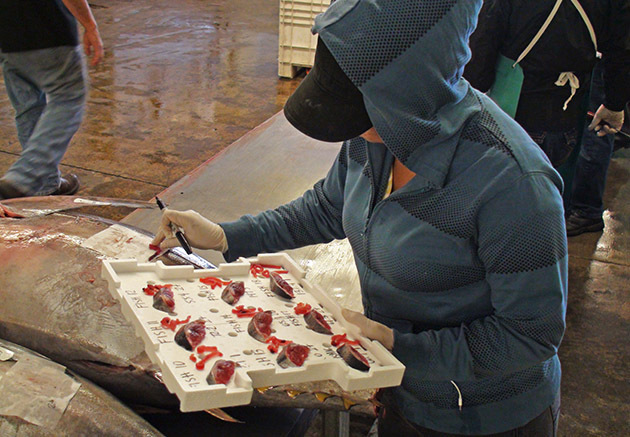 Each fish is recorded by sample on a Styrofoam chart with its number, weight and grade. 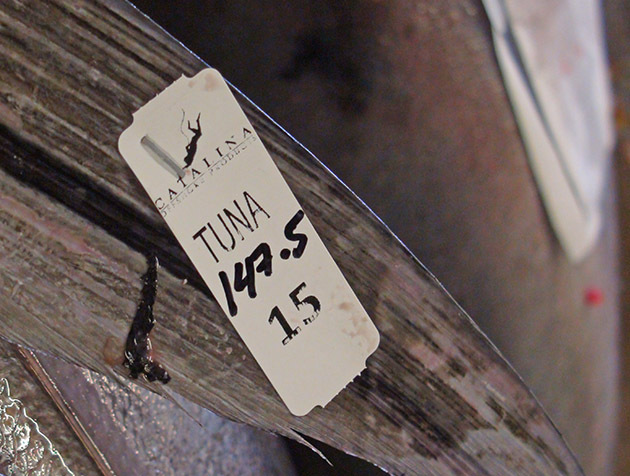 Grades area also noted on the tuna so that each fish can be properly routed to its wholesale or retail destination. Fresh #1 Grade tuna ready to ship! 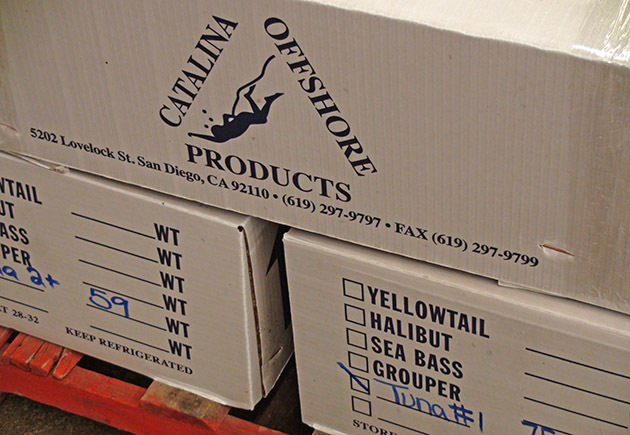 Catalina Offshore Products Fishmonger and Retail Manager Tommy Gomes. 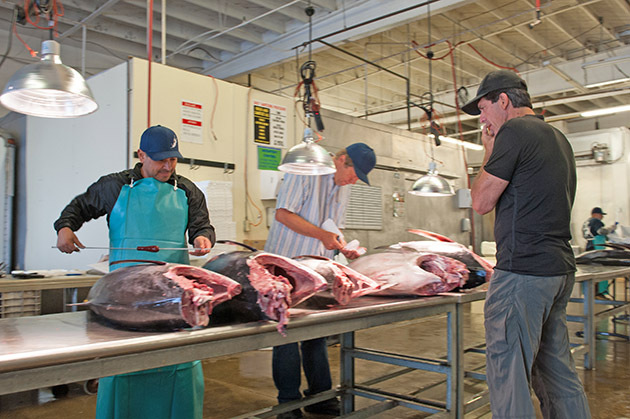 Visit our fish market and Seafood Education and Nutrition Center located at 5202 Lovelock Street in San Diego, or for fresh and sushi grade seafood delivered to your door anywhere in the U.S., shop www.catalinaop.com. Wholesale inquiries welcome! 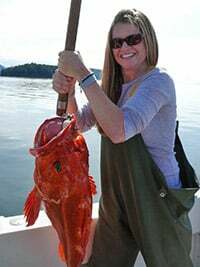 Rebecca Gardon is the Marketing Associate at Catalina Offshore Products, one of Southern California's premier seafood purveyors and San Diego's only exporter of sea urchin.